This is a very interesting article that I wanted to share. I have sent several of my patients over to both Japan and to France to have Dr. Uechi perform mitral valve repair surgery on them. In fact, I actually traveled to France to observe the surgery on the first patient that I sent to Dr. Uechi. I found that Dr. Uechi is not only a tremendous cardiovascular surgeon, he is also an artist when it comes to repairing mitral valves. The problem with the procedure is that it is not easily scalable. Transcatheter mitral valve repair or replacement is probably a better option once a device proves out clinically. The CoApt Valve could be such a device. It is in the final stages of laboratory testing. John and Cathy Cuni of Howell brought their dog to Japan for heart surgery to fix a heart murmur along with a severely enlarged heart. Doug Hood, Asbury Park Press Cathy Cuni felt uneasy as the veterinarian examined Remy, the sweetest dog on the planet. Nothing was wrong with Remy, Cuni told herself during that appointment in September. This was a routine check-up. 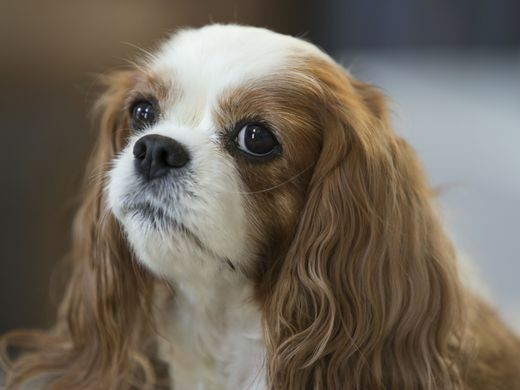 Remy, an 8-year-old Cavalier King Charles Spaniel, was being her usual mild-tempered self, a top-notch love bug who is generous with snuggles, resting her head against any friendly visitor to the Cunis' home in Howell. She never yaps, never jumps. She will greet you politely, lifting her big brown eyes to meet your gaze, and she will wait for you to pat her head and give her a little scritch behind her floppy ears. She resembles Lady from "Lady And The Tramp." She is a good doggy. And nothing was wrong with her. Except for an occasional cough. Nothing you'd notice. But the veterinarian lingered with her stethoscope against Remy's chest. And Cathy Cuni was told that Remy had a heart murmur. What seemed like a minor cough revealed a severely enlarged heart. Remy had end-stage Mitral Valve Disease. Sometimes known as "Leaky Valve Disease," MVD is a form of degenerative heart failure. Cornell University's College of Veterinary Medicine describes it as common, especially among small breeds, usually after the age of 8. There is no cure. Medication might alleviate some symptoms, but Remy would likely die within six months to a year. As Cuni tried to process the news, the veterinarian offered one more piece of information. "The doctor turned her back to me and said, 'Before you ask, there's only one person in the world who can help her, and he's in Japan,'" Cuni recalled. Cuni soon realized that she and her husband, John, would be bound for Yokohama, with Remy by their side. How far would you go for a beloved pet? Would you take off a month from work? Would you tap into your 401-K? Would you put yourself through a lot of stress in the hope of sparing yourself deeper heartache? Cuni wrestled with all those questions. There is no road map for these situations, no formula that says "If X and Y happen, then your next step should be Z." There is only love and grief, to be balanced against the cold realities of time and money. And there is luck. Pull up to the curb in front of the Cunis' large, contemporary house and you'll hear a chorus of barks before you've even hit the sidewalk. It won't be Remy barking. Cuni also has three other dogs, rescued and adopted. Nero and Silvio are Blue Roan English Cocker Spaniels who were bred for show but were born with cosmetic defects. Cuni adopted them through her veterinarian's office. They will turn nine years old this year. Rubi is a Golden Cocker Spaniel, a former stray who pees when she gets too excited, adopted through Abandoned Angels NYC. She'll turn 8 this year. These dogs were preceded by Shadow, an English Cocker Spaniel, and Lexi, an American Cocker Spaniel, who died 16 days apart in 2010. Cuni installed a memorial plaque in their honor on the patio by her pool, where the dogs liked to recline while Cathy and John enjoyed their morning coffee. In the living room, three bunnies rest on the floor, penned in by a short fence, like a baby gate. Siblings Pearl and Sonny, as well as newcomer Ollie, were all adopted from Voorhees Animal Shelter. "My husband and I don't have kids," Cuni said, "so my animals are my kids." With all that in mind, Cuni began researching MVD and the surgeon in Japan. She found the Mighty Hearts Project page on Facebook, where families who have opted for surgery connect with each other. To her relief, she learned that Dr. Masami Uechi has devoted his professional life to this one malady. Using a cardiopulmonary bypass machine, Dr. Uechi and his team have performed more than 400 mitral valve repair surgeries. The procedure does not cure MVD, but it can slow the progression of the disease and can greatly improve quality of life. If Remy met the eligibility criteria, she would have about a 95 percent chance of success with this operation, and she would likely die of old age before MVD had the chance to weaken her again. Cavalier King Charles Spaniels have a life expectancy of 9 to 14 years. Dr. Uechi also has performed the surgery in Versailles, France, but the cost there was much higher to patient families because he brought his team with him. Surgery in Japan costs $17,000. In France, the price was $46,000. In addition to the cost, there were emotional concerns for Cuni. "What if I'm in a strange land and my dog dies? Can I live with that?" Cuni thought to herself. "On the other hand, if I stay home, she will have a painful death, whereas if she dies in Japan, it will be under anesthesia." The pre-surgery process is a long one. Japan requires rabies vaccines within a prescribed period, followed by a six-month quarantine. Pre-surgery testing cost the Cunis about $3,000. There were complications for Remy: her blood type was rare; an ultrasound revealed an abdominal mass that turned out to be benign. Most days on Cuni's calendar were filled with scribbled notes and yellow highlighter marks -- reminders of appointments, calls to make, questions to ask. For Remy, there was no time to lose. When Cuni got a second opinion on the surgery, she was told it was by no means certain that Remy would live past the quarantine time, and it was unknown how she would handle the long flight to Japan. Even more telling, Remy began to exhibit pronounced symptoms of MVD, shortly after diagnosis. "Her cough was deepening and she had zero energy," Cuni said. "She would stand like a bulldog because she didn't want to put pressure on her chest. Her heart had enlarged more and it was pushing on her trachea. She was running out of time." Quarantine ended on May 17. The Cunis flew to Japan on May 28. Remy's surgery was scheduled for June 5. For an experience so fraught with tension, the flight to Japan proved uneventful. Cuni had the foresight to reserve bulkhead seats for herself and her husband, which provided plenty of room for Remy to stretch out on the floor by their feet. And Remy, despite her worsening condition, was still Remy, unflappable and curious. Photos from the flight show Remy looking out the rounded airplane window at a sky striped with wispy clouds. Cuni wanted to cry when she finally met Dr. Uechi, face to face. "He was such a humble man," she said. The Jasmine Veterinary Cardiovascular Medical Center in Yokohama impressed Cuni with its efficiency and care. The Cunis were able to view the glass-walled operating room and even to see a projection of Remy's heart on a screen. Remy came through seven hours of surgery with aplomb, under the care of 11 people in the operating room, and a similarly sized team in recovery. The family spent 30 days in Japan. John Cuni, an electrician in New York, was away from his work for that time, and the couple did have to borrow from their 401-K to pay for Remy's surgery, travel and related costs. When they left Howell for the airport, it was still spring, and when they returned, they greeted summer with jet lag. But it was worth it, Cuni says. By her one-month post-op cardiology visit in New Jersey, Remy's heart had decreased in size, and all other minor complications that cropped up during the recovery period had subsided. Also, Remy's energy had returned in force. Cuni said all the research, stress and worrying paid dividends, though she notes with humor that her husband has proclaimed there will be "absolutely no more animals." Their house is full. Their family is complete. Remy, meanwhile, pads around the house, none the worse for wear. She will stand patiently while Cuni dresses her in a dog-sized kimono, a souvenir from the journey. She will endure this indignity while visitors coo over the cuteness, the undeniable kawaii, of it all. Released from the garment, Remy will walk over to a cushion on the patio, a favorite place to rest, poolside. "She couldn't lie there like that before her surgery," Cuni said. "It was too much pressure on her chest." When Cuni leaves the patio and goes back through sliding glass doors to her kitchen, Remy will continue to sun herself, facing life with equanimity. But soon, she'll follow the path back inside. Remy will crawl into Cuni's lap and reach up to give her a gentle lick, a doggy kiss, and, in profile, it looks like the little dog is smiling.